Eric Hansen has been named chairman of the Association of International Certified Professional Accountants (the Association) – the global accounting organization formed by members of the Chartered Institute of Management Accountants (CIMA) and the AICPA to advance public and management accounting worldwide. 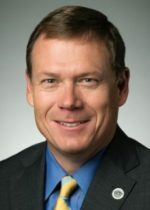 The governing councils of the AICPA and CIMA approved the one-year appointment of Hansen, who also serves as chair of the AICPA. He will work closely with CIMA President Steven Swientozielskyj, who will serve as Association vice chairman, to meet the needs of 667,000 members and students across 184 countries and territories. Hansen brings significant experience to the post. He is COO at Springfield, Mo.-based BKD (FY17 net revenue of $564.4 million), where he oversees firmwide operations and acts as a liaison between BKD’s national office and its four regions. He has provided audit, tax and consulting services to companies in the manufacturing, health care, construction, transportation and the financial services industries. He also has a legacy of service to the profession. In addition to his tenure as chair of the AICPA, he has served as chair of the AICPA finance committee and as a member of the AICPA’s Major Firms Group, among other activities. Swientozielskyj also brings extensive experience to his role as vice chair of the Association. His career includes a number of senior finance roles across the private, public and consultancy sectors. 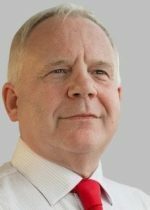 During his tenure at Network Rail, he led the setup of its financial shared services, which within three years was benchmarked as a world-class facility. Swientozielskyj has been a member of CIMA since 1980 and has held numerous volunteer leadership positions.